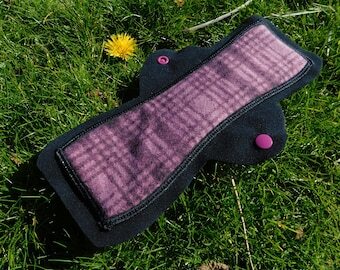 8 inch Cozy Folk Liners and Mini Pads with wicking, breathable jersey tops! Available in a variety of colors! 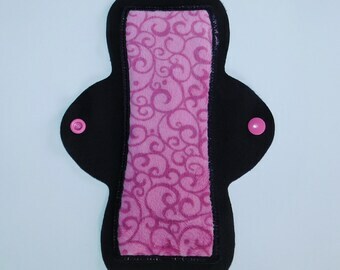 The 8L and 8M are all-purpose pantyliners to back up a menstrual cup/tampon and a mainstay for folks with lighter flows. 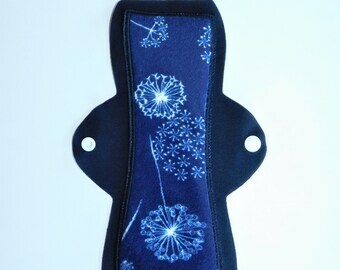 With it's black fleece backing and snap-below-underwear closure, it is also comfortable, discreet and easy to remove. 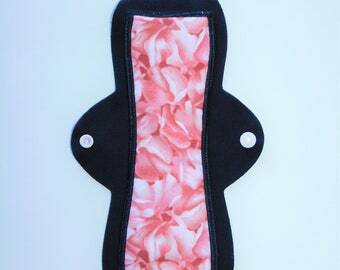 The length is roughly equivalent to a classic disposable pantyliner, but you, uh, dont have to throw them away and they are awesome enough you could wear them eveyday if you want! 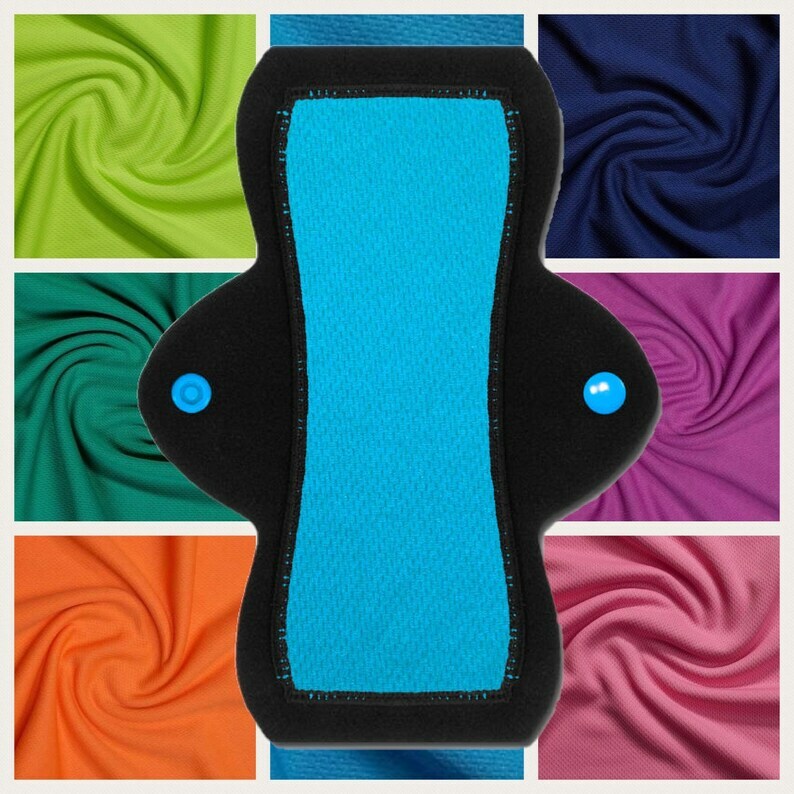 You can request an 8H (heavy absorbency) if you want to let a heavier flow into a pad while wearing clothes that are tight/close to your bum. I am highly satisfied by these products. I ordered 5 pieces last year with different kinds of fabrics and now this year 14more pieces of particularly Jersey fabric. 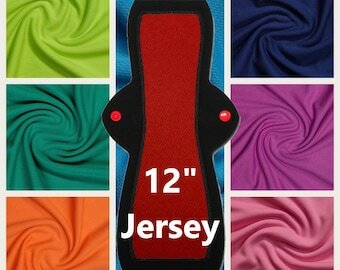 The Jersey fabrics I find most comfortable and also it maintains very well after many washes (flannel doesn't maintain so well, at least for me). Excellent product and service, thankyou!! I love these. They work great, don't shift, and best of all aren't hot in the summer!